In order to assure protection of critical infrastructures this special Screening Smoke Emitting Unit has been developed. The PKI 7700 can easily be installed at the right place of premises to be protected and within seconds emits a visually impenetrable cloud of smoke. 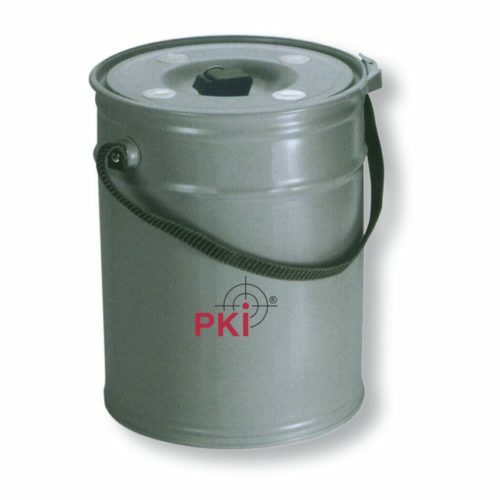 The used smoke emitting material is harmless to human health and environment. The PKI 7700 can be adapted according to customer’s requirements. We produce our PKI 7700 on an individual basis and case by case in a very close cooperation with our clients. Like all the other products of our programme, we keep the price at a reasonable level, and agree with you how we can meet your needs. When contacting us on this device, please have the following information ready at hand: • Duration of smoke required • Volume required (cubic meters) • Ignition method required (fuse or electric) • Physical size restrictions • Intended use for the device. We will consider all this information in order to develop a product designed specifically for your application. Due to the tailor-made procedure of each single unit, we regret being unable to state here specific technical details. Please ask us for these by answering the a.m. questions.